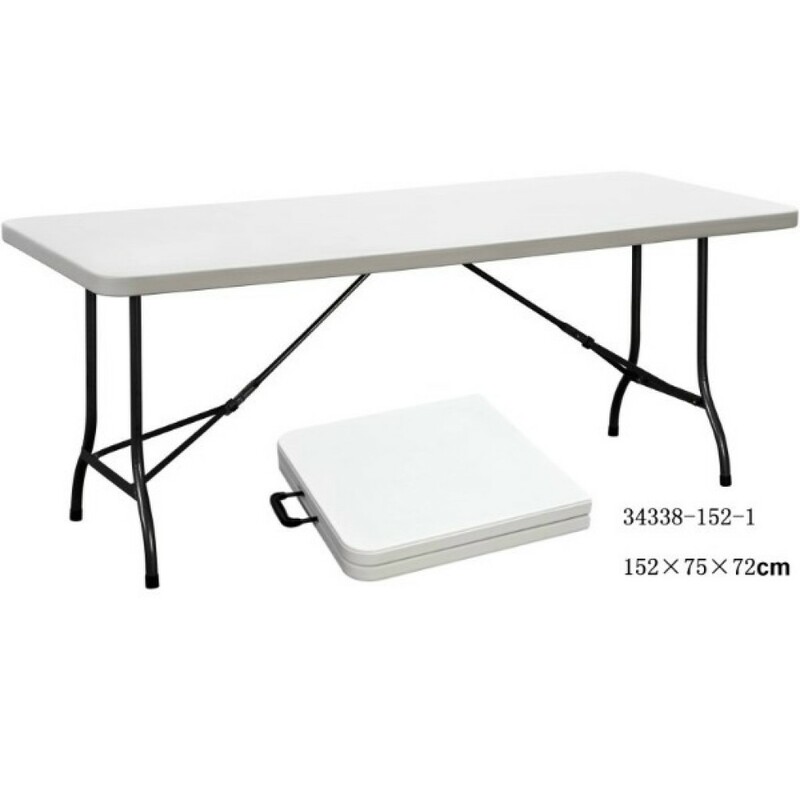 34338-152-1 Folding Table: 1,Blowing mold, steel-PE folding table. 2,table top's thickness: 4.50cm HDPE. 3,Steel tube: dia.25*1.0mm; 4,Product size:152×75×72 cm; folding size:76.5×75×8 cm; 5,CBM:0.053;about 530pcs/1-20GP, about 1290pcs/1-40HQ; 6,N.W:12 kgs; G.W:13 kgs; 7,MOQ:1-20GP; 8,Delivery time:30-45 days after receipt of 30% deposit. 9,Payment term: T/T 30% advance,70% balance payment before loading by T/T.